VI.17.22 Pompeii. Shop. Excavated 1805? VI.17.22 Pompeii. May 2005. Looking west to entrance doorway. 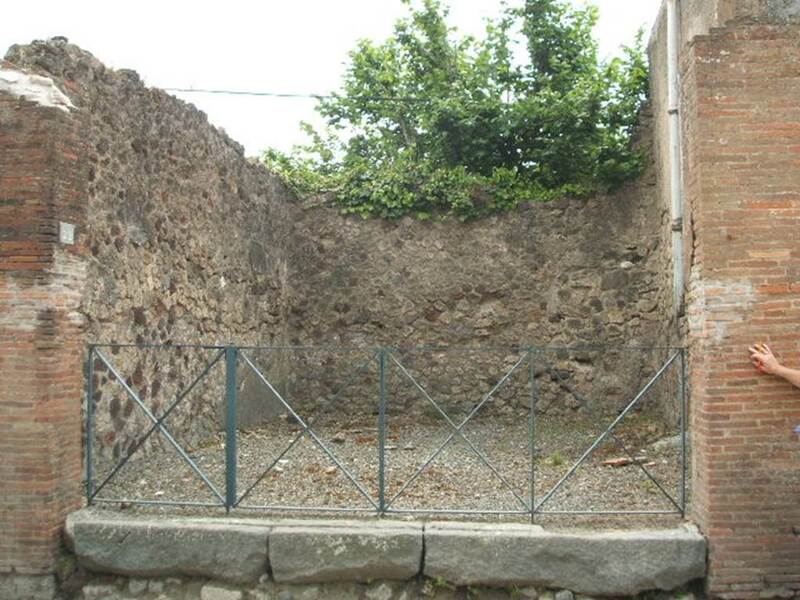 According to Fiorelli – the dwelling at VI.17.23/25 had six shops attached to it, along the Via Consolare. See Pappalardo, U., 2001. La Descrizione di Pompei per Giuseppe Fiorelli (1875). Napoli: Massa Editore, p. 159. 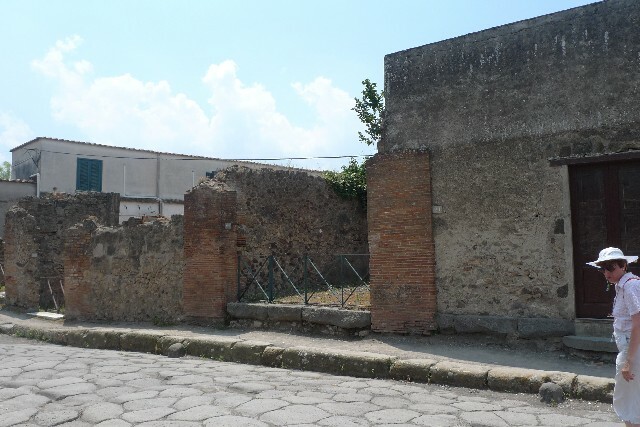 VI.17.22 Pompeii. May 2011. Looking west from Via Consolare. Photo courtesy of Michael Binns. 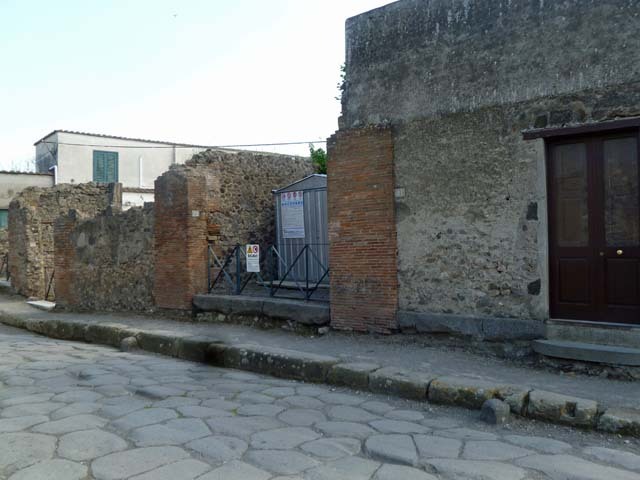 VI.17.23/22/21 Pompeii. May 2011. Looking west on Via Consolare. Photo courtesy of Michael Binns. 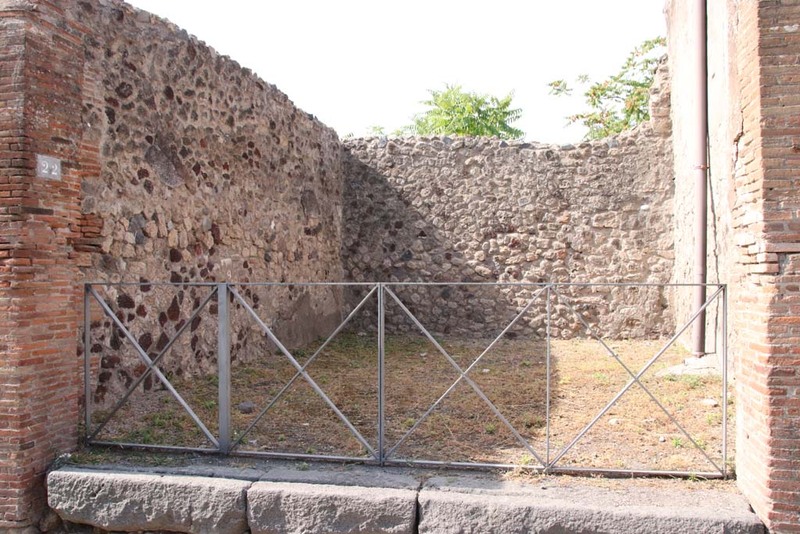 VI.17.22 Pompeii. July 2010. Looking west to entrance doorway in centre. Photo courtesy of Michael Binns.